The term “exotic pet” applies to any household pet other than the more traditional dog or cat. Which Exotic Pets are seen at Norwalk Animal Hospital? Small mammals (rabbits, ferrets, guinea pigs, chinchillas, rats, mice, hamsters, and other rodents) and reptiles (snakes,lizards,turtles,tortoises). We recommend that all newly acquired exotic pets be kept separate from your other pets one month after purchase, and should have an initial health evaluation by a veterinarian prior to introduction. During this veterinary visit, suggestions for how best to care for your new pet are also discussed. Many pet stores offer a warranty on newly purchased animals that lasts for 2-3 weeks, and it is ideal to schedule a veterinary visit in this time frame. These measures are vital to ensuring that you have obtained a healthy pet free of diseases or infections that may be introduced into your collection. 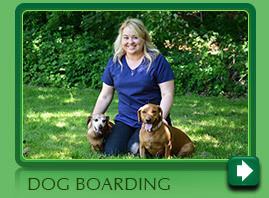 Call us as soon as possible if your pet is displaying any concerning signs! Here at Norwalk Animal Hospital, we recognize that coming to the vet can be a stressful experience for any pet, particularly our exotic patients. Our staff and doctors are very sensitive to this fact and do whatever we can to limit this stress. To streamline the process and make your visit more efficient, we ask that you arrive 15 minutes early to fill out new patient paperwork. If possible, your pet may be more relaxed if brought in its regular enclosure. This will be helpful to assess your setup and make any recommendations. It is also best not to clean the enclosure prior to bringing your pet in. This will allow your exotic pet to be surrounded by familiar, comfortable smells, and will also retain samples for diagnostic testing to better evaluate your pet. For reptile patients, it is best to bring them with some sort of heated transport, such as a warm towel or hot water bottle. 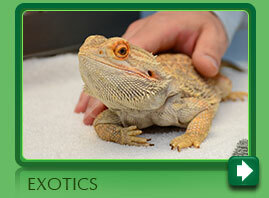 We look forward to working with you and your exotic pets to help them live as long, healthy lives as possible.